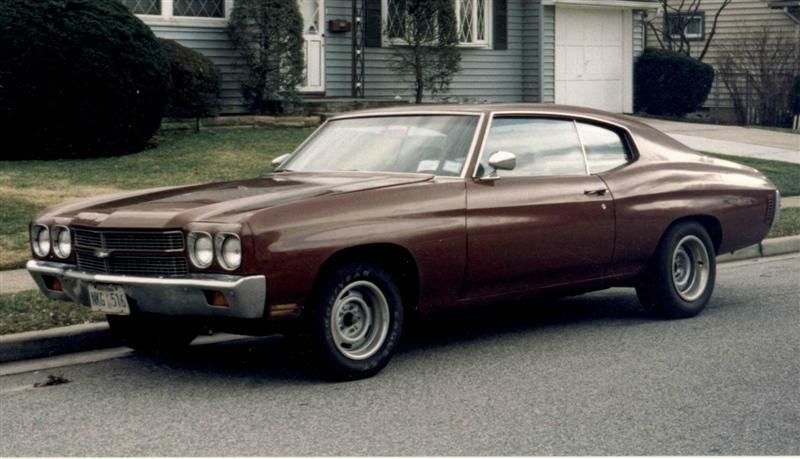 My old 1970 Chevelle had rust and rot on the bottom of the front fenders, both quarter panels, and behind the quarter panels inside the wheel wells. After stripping the paint down to bare metal, I cut out the rust spots, carefully made patch panels, and MIG-welded them in. That was 20 years ago. Since then, I've welded countless patch panels and completed dozens of assorted welding projects. All were done with my 110-volt MIG welder. It's Been 20 Years Already? My MIG machine, a transformer-style Solar 2150, is now obsolete. When I bought it in 1995, I didn't give any thought to where the machine or me might be 20 years down the road. 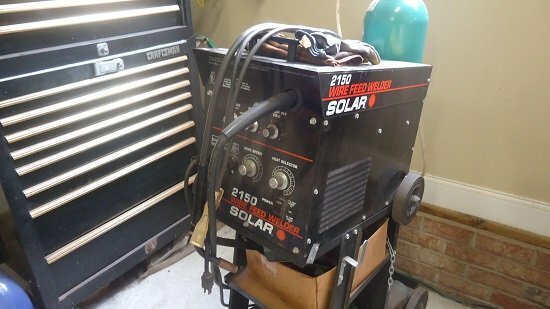 I bought it because it was the largest 110-volt welder I could afford (I didn't have 220v yet). The Solar MIG machine did a good job with sheet metal and metals up to 3/16", but always struggled with anything thicker. As of late, it's been giving me other problems, and parts and service are nowhere to be found. Solar was bought out by Century Manufacturing sometime in the nineties, then Century was acquired by Lincoln Electric in 2003. Which leads me here, searching for a suitable replacement. There is no single welding process suitable for all automotive needs. Some are easier to get started with than others, some are less expensive than others, and some take more time to master. The following is an explanation of the different types of welding processes. Hopefully this will help you select the best welder for automotive restoration. The most common types of welders are Gas, Stick, MIG, and TIG. Between these four, the most versatile for all-around automotive use is the MIG welder. 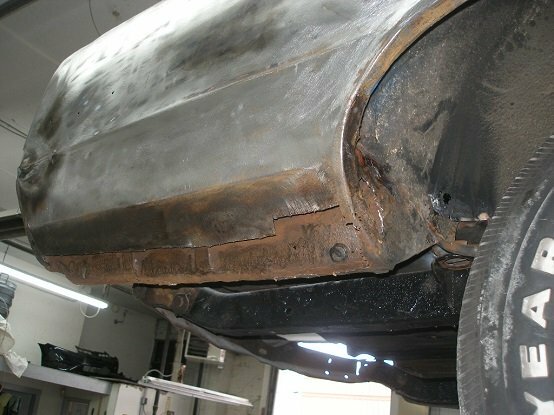 With a good quality machine, the home hobbyist and classic car enthusiast can repair automotive sheet metal as well as fabricate brackets, repair exhaust systems, and make specialty tools. Gas welding is the oldest form of welding. Having an Oxy-Acetylene set-up in your home garage allows you to heat up stubborn bolts and pre-heat parts. 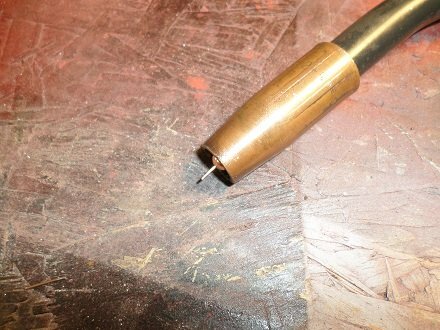 Having a rosebud tip allows you to cut through thick metal. However, gas welding is hard to learn and difficult to weld thin metal. Stick, or Arc welding, is easy to learn, doesn't require a gas bottle, but does require a lot of clean-up. It's great for all kinds of projects, but not a good choice for thin sheet metal. TIG welding is neat and precise, but the most difficult to learn. It is also the most expensive welder to buy. A MIG welding machine uses a spool of wire fed through a hand-held gun. Squeezing the trigger controls the wire output. Because of this action, starts and stops are easy, which makes it quicker to learn than Arc or Tig welding. The arc is created by an electrical current between the base metal and the MIG wire, melting the wire and fusing it with the metal. This type of welding is fast and economical, and well suited for thin metal. Although set-up time can be time-consuming, the actual MIG welding process is relatively quick. The two types of welding that can be done with a Mig welder are Mig and flux-core. Simply put, you can weld with shielding gas or without shielding gas. Both the Mig and flux-core techniques are relatively easy to learn and give clean welds on steel, aluminum and stainless. Both have the capability to weld materials as thin as 26-gauge. The two major limitations of Mig welding is that it can be difficult to use outdoors (wind can blow away your shielding gas), and that you have to cart around a gas bottle. Flux-core welding, also known as wire-feed welding, does not require gas, instead using a flux-cored wire to shield the arc. This process is effective when welding outdoors, in windy conditions, or on dirty materials. Flux-core is not the best choice for thin sheet metal. As it's name implies, the metal inert gas (MIG) welding process uses a shielding gas to "shield" the molten puddle from the atmosphere. The shielding gas is fed through the gun, and basically "suffocates" the weld area from oxygen. With shielding gas, you to get clean, good looking welds on thin sheet metal. Mig welding is the best choice for welding automotive body panels. Most inexpensive MIG welders run on 110-volts that have a high current but only for a short time. This duration is called the duty cycle. 220-volt welders will feature a higher current with longer duty cycles. The smallest wire-feed welders put out 60-100 amps. They run on standard 110v current and obviously, the smaller the unit is, the more portable it is. These small, gasless, wire-feed welders sell for as little as $150, but they are very limited as to what they can actually weld. The largest Mig units will give you up to 250 amps with a 60% duty cycle. These are capable of welding up to 3/8" steel and require 220 volts. Mig units like these will retail for $2,000 and up. 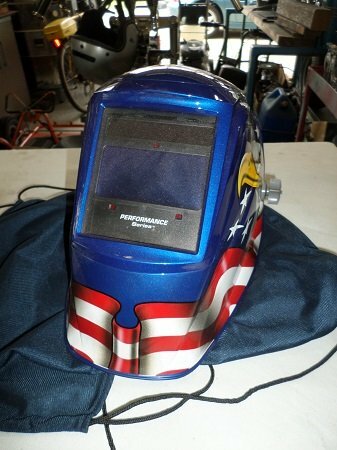 There are many brands of welders, the better-known American companies being Miller, Lincoln, and Hobart. Not all components are American made, most are only assembled in the U.S. from foreign and U.S. sourced components. Presently, and for some time, the welder market has been flooded with inferior Chinese-made units. Not all these are junk, but some are. Many of these welding machines are the same unit, sold under different brands. These include Everlast, Longevity, Harbor Freight and Eastwood. What good is a three-year warranty that makes you pay shipping back to the manufacturer? Buyer Beware - the initial low price also buys lack of customer support and poor after-the-sale service. Think about down the road, five, ten, maybe 20 years from now. Where will your machine be fixed? Will you be able to get parts? 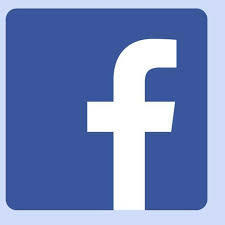 The advantage here goes to the name brand welders, who are established and have service centers in every major city. 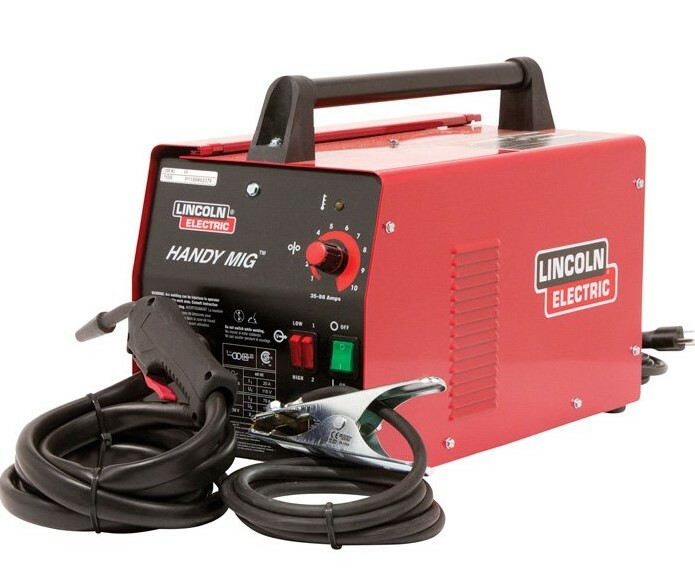 If you're on a budget (who isn't) but still want a quality name brand MIG, consider the Lincoln K2185-1. This is a 115-volt unit that operates off any 20 Amp household outlet. It's light weight (46 pounds) allows you to easily move it around the shop. Amperage output is 35 to 88, enabling you to weld from 24 gauge up to 1/8" mild steel. Duty Cycle is 20% at 70 amps. So for under $400, you can get a top name brand with a one year warranty. This machine can handle all your sheet metal welding needs. Included with the Lincoln K2185-1 is the gun and cable assembly, work cable and clamp, gas nozzle, gas regulator and hose, spool of solid wire, contact tips and hand shield with filter plate and lens. A little larger than the Lincoln Handy MIG is the Hobart Handler 140. It also runs off 115v standard household current, and has an amperage output of 25 to 140. Duty cycle is 20% at 90 amps. Included with the Hobart Handler 140 is a built-in gas valve, 10 foot MIG gun with liner, dual-gauge regulator and gas hose, ground cable and clamp, extra .030 contact tips, and a spool of .030 flux-cored wire. 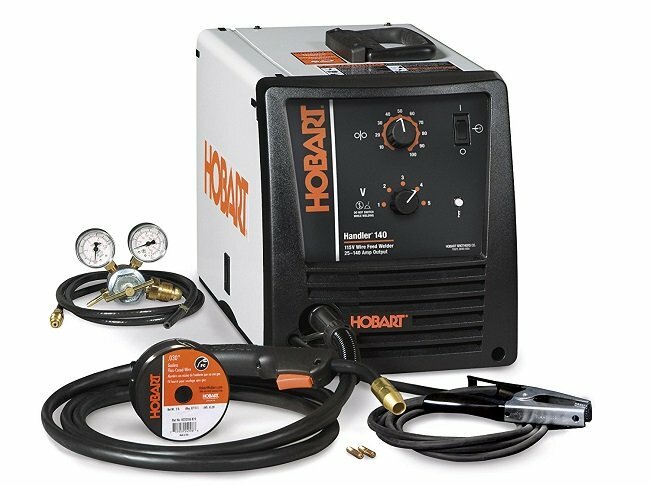 The Handler 140 is Hobart's most popular MIG welder. For most sheet metal welding, the Hobart Handler 140 will be all you need, but remember that this MIG can only weld up to 1/4" steel (in a single pass, anyway). For those of you who need or want more power, consider it's bigger brother, the 220-volt Hobart Handler 210 MVP. This welder can be run on either 115 or 230 volts. With it, you can weld from 24 gauge up to 3/8" mild steel. Duty cycle is 20% at 90 amps with 115 volts, and 30% at 150 amps with 230 volts. To MIG weld aluminum requires spray transfer, and 200 amps is about the bottom end for thicker pieces. Welding aluminum can be done with the Handler 210 using the optional "SpoolRunner 100" direct plug-in spool gun. The Handler 210MVP weighs 87 lbs, and was designed and assembled in Troy, Ohio USA. With sheet metal, a short, one-inch bead will be laid down, then a pause in time, while the welder moves to another point to weld. Therefore, a smaller, 110v unit may suffice for the home welder. What Size MIG Welder Is Best? Buying a welder for your garage workshop can be a pretty large investment. However, buying the cheapest unit available is false economy. The expression, "You can't weld with amps you didn't buy" is true. Consider that a larger MIG unit will retain more resale value if you ever decide to sell or trade. If you think that someday you may want to weld anything thicker than 3/16", you'll want a welder that goes up to (or past) 120 amps. Preferably about 130 amps or above with a 30 amp minimum setting. These will go low enough for bodywork but will have enough power to do occasional thicker stuff. 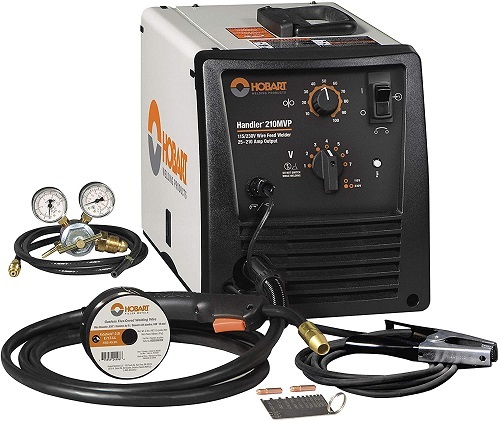 Personally, I have found the best MIG welder for automotive sheet metal is a 110v unit that has 30-140 amps. Look for one with at least a 20% duty cycle at 140 amps. Medium-sized Mig units like these retail between $450 to $750. I don't recommend buying a used welder, but I do recommend buying a brand-name welder. While you're budgeting for a new MIG welder, remember to factor in the cost of a gas bottle and a welding helmet.